It’s not every year that Broadway’s Best Musical Tony Award goes to a show about a rapping Founding Father, but that’s just what happened with Lin-Manuel Miranda’s Hamilton. Not surprisingly, Alexander Hamilton — an original signer of the Constitution — recognized how important the Constitution would become for our success as a Republic. Today, we celebrate the 230th anniversary of its signing. It remains as vital as ever. In some respects it has. Our legislators — the senators and congressmen — too willingly pass laws that cede authority to an “alphabet soup” of executive agencies, like the Commerce; EPA; or Interior, among others. This administrative system of government corrupts the executive branch with power beyond what the Constitution calls for. Then, these same executive agencies create “administrative law judges” (ALJs) within their auspices, who answer to the very agencies they purport to “judge.” Our federal judiciary too often defers to the agencies and ALJs rather than carefully examining their decisions as judges should — further undercutting the constitutional separation of powers described in the Constitution. This further accretion of executive power elevates bureaucratic efficiency at the expense of justice. This comprehensive failure to follow the system of checks and balances the Founding Fathers created misses the point of the structure of the Constitution. It has led to the office of the presidency, the executive branch, having more power than our Founding Fathers intended. Both sides of the political aisle should recognize we need to correct this mistake. Republicans may have objected to unilateral decisions that President Barack Obama made, and Democrats obviously oppose overreaching executive moves made by President Donald Trump. But all in government must recognize the role they played in allowing this problem to develop and take steps to fix it. We can start by demanding that our legislators read the laws they write before passing them. We should expect them to take responsibility for writing clear and understandable laws, laws that do not require us to resort to bureaucrats to implement and interpret them. When bureaucrats have to interpret the law, the objective rule of law our Founding Fathers envisioned is relegated to the subjective rule of men, which puts us at greater risk of tyranny. President Calvin Coolidge once said of Hamilton: “When America ceases to remember his greatness, America will no longer be great.” Thanks to the creativity of Broadway’s Lin-Manuel Miranda, our country will sing and rap of Hamilton’s greatness for many years to come. 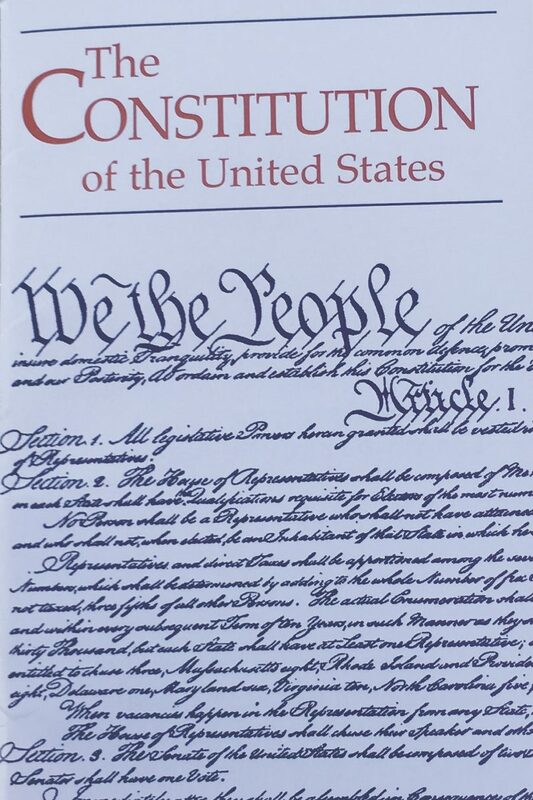 In remembering Hamilton, we should also remember the document he signed that he rightly called the sustaining energy for our Republic: The Constitution. As Americans, we should restore its understanding of the separation of powers in order to ensure it continues to sustain our country for the next 230 years.